Why Can’t Cooking Be a Team Sport? We’re Guys! If you’re looking for gift ideas for men who love to cook, you’ve got to take a look at our 2018 holiday gift guide for cooks. We’ve got a wide range of present ideas for the men in your life who like to cook. Whether you’re looking for a budget gift for a friend, last minute Christmas gifts, or small gifts for that special guy, we’ve got a gift guide section for gifts under $50, gifts under $20, and gifts under $10. 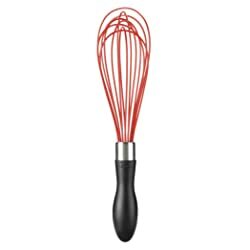 We also have a variety of must-have kitchen gadgets and gizmos to tickle the fancy of cooks who happen to be of the male persuasion. Of course, you don’t have to buy these just for men. They make great Christmas gift ideas for ladies as well. Whether you’re a guy or gal, they’re great. So if you’re looking for unique ideas, we’ve got gift guide sections for small gifts, fun gifts, gifts for bakers, gifts for grillers, gifts for guys who entertain, and some really spiffy more expensive gifts for special Christmas gifts for your husband, fiance, brother, dad, or boyfriend. Are you in a hurry? Check out these kitchen gadgets for men at Amazon. Finding cooking gift ideas for men, whether they treat it as a hobby or a vocation, can be tricky. How do you find the best gifts for his Christmas present, especially if he’s one of those men who have everything? One sneaky thing you can do is to start watching him in the kitchen. Make a note of his favorite recipes or specialties. What tools is he missing to make those dishes easier to make? Is one of his current tools wearing out? When he’s cooking, is he irritated with wrong sizes or types of pots, pans, mixing bowls, or utensils? If you know more than one guy who cooks, ask each of them what their favorite kitchen tools are, and why. Ask them what they hate and wish they had to make things easier. Somewhere in there is the perfect gift. Gadgets and Gizmos: He was quite emphatic about this. Kitchen toys for cooks, in other words. Durable Tools: Don’t buy your man who cooks even one little flimsy tool. If that spatula, measuring cup, serving or stirring spoon, or any other helpful doodad you buy won’t hold up to World War III, don’t give it to him as a Christmas gift. Might as well get him tacky socks (unless he likes tacky socks, of course). Big Pots and Pans: Don’t ask me why on this one. I’ve gone round and round with every man I’ve ever been in the kitchen with. None of this “the right pot for the job.” Sure, if you have the right size pots or pans, great. But if you’re going to buy him a special pot or pan, he’ll want the big one. A pot that handles several quarts. A 12 inch deep frying pan or bigger. 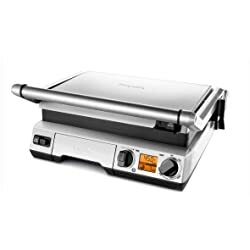 Better yet, a huge tabletop electric frying pan. No wimpy little pots and pans that don’t have enough room in them to cook for an army. 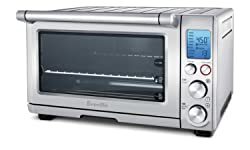 Useful Kitchen Appliances: If you’re going to pick out appliances for a man who cooks, he’ll want something he’ll actually use. Does he have “man parties” for game night on TV or the weekly card game? Give him an appliance he’ll use. A popcorn popper that does tons of popcorn. 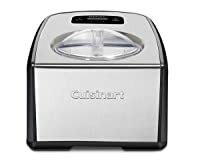 An ice-cream maker for gourmet flavored ice-cream. a BIG food processor that will chop half the ingredients in the world in bulk. You get the idea. Cooking Doodads That Make Him Look Cool: Guys like to show off their expertise. Give him kitchen toys that make him look cool, or sophisticated, or worldly, or whatever makes him shine. Is he the master of grilling marinades? 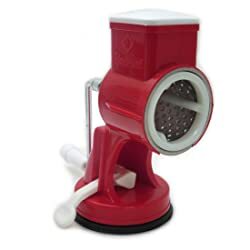 Get him a classy spice grinder for showing off while he makes his marinades. Is he a master mixologist? Find him a big drinks set for serving his master concoctions. Help him show off — in a subtle way, of course. So let’s lead off here with the big guns of our gift guide. Here are some of the best gift ideas for your husband, father, brother, grandfather, boyfriend, or other significant guy in your life. And if you’re looking for gifts for the man in your life who has everything, maybe we can help. 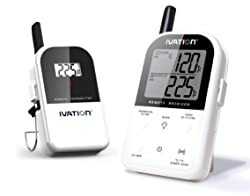 The Ivation Long Range Wireless Digital Thermometer Set is truly the top-of-the-line grill thermometer. 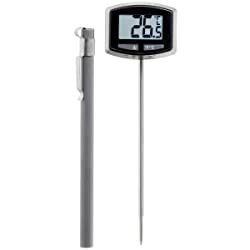 This digital meat thermometer is not only for monitoring smoker and grill temperatures, it can also serve as an oven thermometer or meat thermometer in general. It’s the perfect kitchen gadget gift for the cook on your Christmas list. Not only is it multi-functional for your practical man, but it has a backlit LCD monitor and wireless communications, making it useful at night and from inside to monitor your outside grill or smoker. Talk about something men drool over. It’ll even monitor things from over 300 feet away and will both beep and flash when it needs to give warning. It has a count-up and countdown timer, as well. There’s an alarm that sounds when temperatures fall too low or raise too high. Best of all for guys, there’s a belt clip and a stand that can be used as a hanger. This grill monitor and meat probe is the ultimate in geek gadgets for him. If your special guy grills, he’ll love this all-in-one probe and temperature monitor. It’s the #1 Seller on Amazon with tons of excellent ratings. If you are buying a Christmas present for a man who likes to entertain, you might find these gift ideas to his liking. Casual fun or drinks for the boss both could be covered with these options for your shopping list. Does the man in your life love baking best? 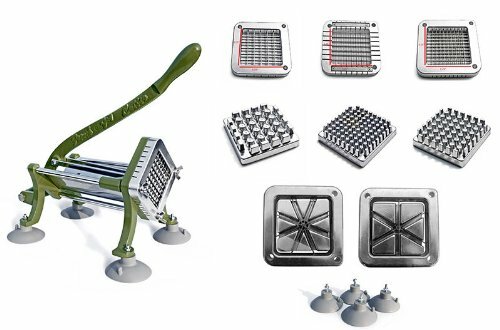 Here by popular reader demand are some Christmas gift ideas for bakers to consider for his baking toolkit. Sorry for the purple color, guys! 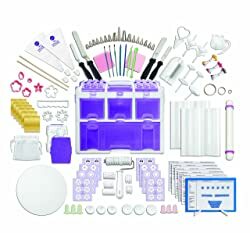 But truthfully, if the special guy in your life is a baker, he’ll probably forgive you because this 3-level tool caddy in the Wilton Ultimate Professional Cake Decorating Set is the ultimate Wilton cake decorating set. Every essential tool from the best in baking (Wilton) and a cool caddy for organizing it all, too. With 177 different pieces, including tips, couplers, icing bags and colors, cake levelers and spatulas, shape cutters, and smoothers, your baker will love this extensive set of baking tools. Everyone likes to find that perfect gift idea for a loved one in your life. But where do you start, especially when you’re shopping for a man who has everything? Here are a few gift ideas you might not have considered. The Bosch Universal Plus Stand Mixer is a workhorse of a stand mixer for all the tough tasks a man could put it to. This high-quality, heavy duty stand mixer from Bosch is a durable, flexible workhorse. 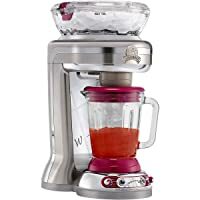 It’s a high-speed mixer and has a high-capacity 6.5 Quart work bowl with a lid. 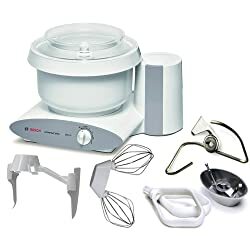 With 800W of power and 4 speeds, plus a manual pulse, it can handle all of the mixing needs of a serious cook or baker. It can do up to 15 pounds of dough, and is exceptionally good at dough making, even with wet dough. With the cookie paddles, bowl scraper, and dough hook, your special guy will be able to do just about any baking task with this mixer. 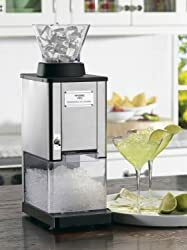 And there are other available attachments at Amazon like the Bosch blender, food processor, meat grinder, and slicer/shredder, so the Bosch can handle a lot of other tasks with the attachments. Quite a few people looking for a workhorse stand mixer have changed from KitchenAid to Bosch Universal Plus Stand Mixers and have been quite happy with them. 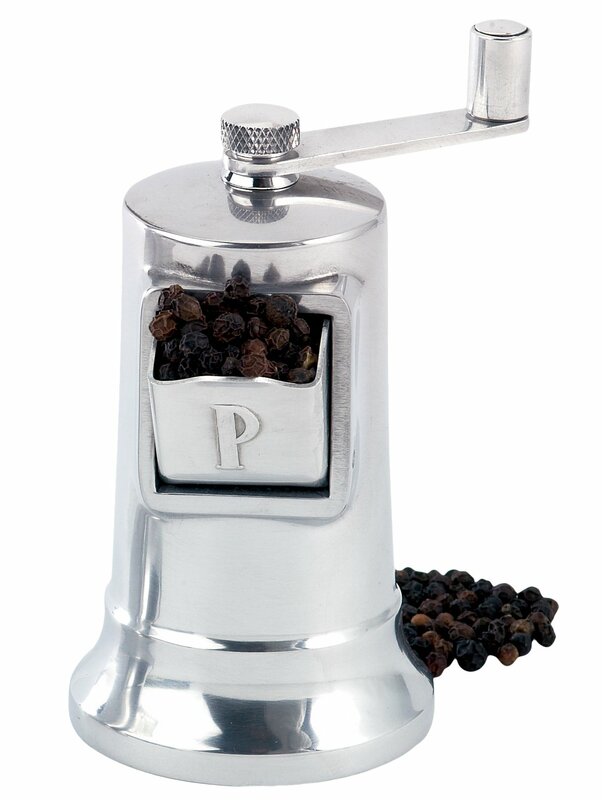 The Perfex Crank Pepper Mill, 4.5-Inch is a durable, high-quality pepper mill, and a matching Perfex Crank Salt Mill is also available. I mention them separately here because you can purchase them separately at a slightly lower price than together. Both mills have a pull-out chute for easy refilling, and they’ll look classy on the counter or table. 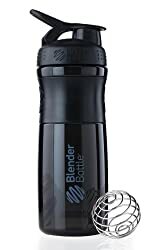 The adjustable grinding mechanism can be set to anything from coarse to fine grinding. These Pepper and Salt Mills have been around for quite a while and aren’t flimsy like some newer items. When thinking about Christmas gifts for men, think like a guy. Women like presentation. MEN want success. Give them kitchen toys to make them happy, not a pretty serving platter. If you’re looking for some durable, extra-high quality kitchen appliances to surprise the guy who cooks in your life, check these out. Picking out a Christmas gift that matches his particular cooking interests will make him drool over his new kitchen toy. 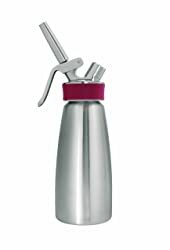 I’ve picked the best gifts for cooks from different categories of kitchen appliances on Amazon. They all have high ratings and satisfied customer reviews. 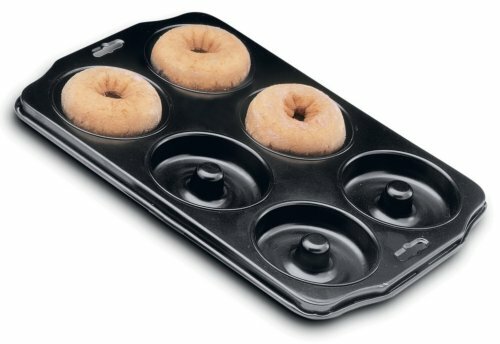 Get one of these useful gifts for your cook for Christmas before they’re snapped up and out of stock. But not every man on your list needs expensive kitchen gadget gifts. If you’re looking for some Christmas gift ideas and you have a budget to keep, I’ve made some selections in the lower dollar ranges for your brother, friend, or co-worker who likes to cook. If you need a last minute gift or inexpensive stocking stuffer for your boyfriend, fiance, husband, or family member, we’ve got you covered. And if you need a Secret Santa gift for an office party or party with friends, you can find something here for that budget, too. 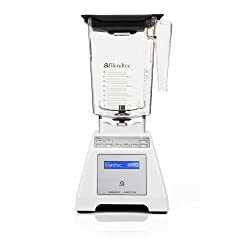 If you’re looking for useful kitchen gadgets and reasonably-priced gift ideas under $50 for a cook’s Christmas presents, I recommend the gift ideas below. 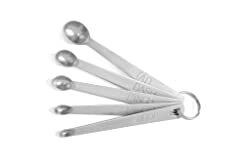 I’ve picked the best mid-range gifts for cooks from different categories at Amazon. They all have high ratings and satisfied customer reviews. 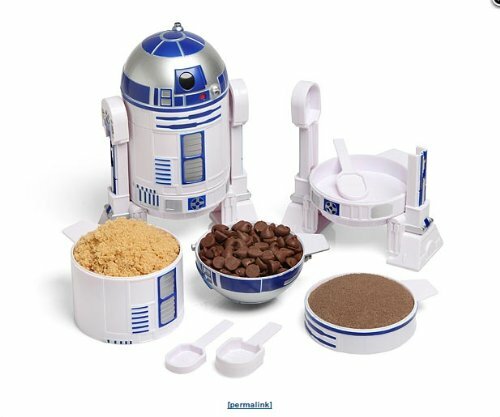 If your gift recipient is a Star Wars fan, I can just about guarantee he’s never seen R2-D2 like this one below. And if he is a fan, there’s a bunch of related types of kitchen products on Amazon that you can find below this listing in the “also viewed” strip at the bottom if you want to go all-out. 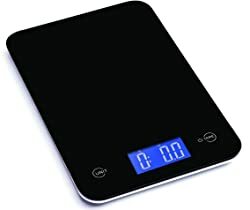 Other items like a quality digital scale and a universal grater (I have one and they are quite versatile) can also be great budget gifts for cooks if you are trying to find gifts priced under $50. If you’re looking for inexpensive gift ideas under $20 for Christmas gifts for a cook, I’ve picked the best practical gifts for cooks I could find. They all have high ratings and satisfied customer reviews. These make great smaller gifts for men who enjoy cooking, whether it is a gift exchange at work, a Secret Santa exchange, a special stocking stuffer, or just a useful gift for a cook who you want to get a reasonably-priced present. My personal favorite is the Bamboo cutting board with the colored removable cutting mats. My husband has been hinting about that one for the last couple of months, so I suspect one is going to end up under our Christmas tree this year. Shush. Don’t tell. 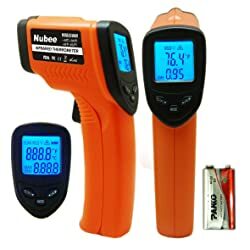 And “somebody” keeps pointing out how reasonably priced and cool the “temperature guns” are, too. Christmas 2015 Update: My special cook got the Bamboo cutting board with removable cutting mats under the tree this year. When it was time to make dinner, he immediately headed off to the kitchen with his cutting board under his arm to chop veggies for our Christmas dinner. 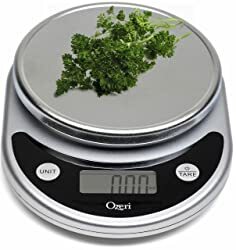 While the Ozeri digital food scale listed in this section is a little less expensive than the professional Ozeri digital kitchen scale in the “Gifts Under $50” gift guide section, it still handles reasonable kitchen weights and is a solid scale. I also highly recommend the silicone kitchen utensils because they are incredibly easy on quality pans and don’t scratch or scuff. They also don’t conduct heat like metal utensils. I swear by mine. And they are heavy-duty enough and comfortable in the hand for men who cook, too, as my husband will attest. 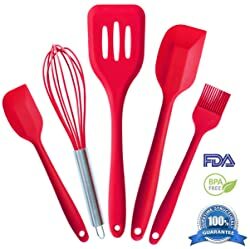 If you like the idea of the Oxo Good Grips Silicone utensils — and I do love them for our household of cooks — here is a link to more of them on Amazon. No Christmas gift ideas list can be complete without something funny for the male cooks in your life who appreciate a good gag or fun gift. Since “Kiss the Cook” aprons are such fun to wear but more common as gifts, I thought I’d see what aprons I could come up with that were a little different, but still quirky and fun to wear and to give. 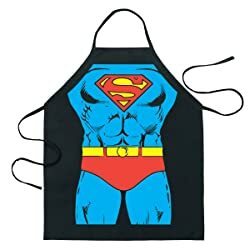 And since getting guys into the kitchen is always a sign of a “super man” I had to include one Superman apron to give as a present if you’re so inclined. There are tons more cooking aprons available on Amazon. 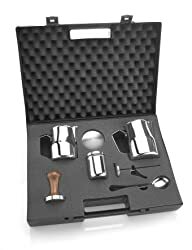 If you click through to Amazon, you can certainly browse an extensive collection there to find one that perfectly fits the men in your life that you are looking for gifts for. It was impossible to showcase aprons for every possibility. But there are many, many more available, and Amazon’s search feature is excellent. Even though men and women both enjoy cooking, never forget that men do it differently. They aren’t women in sweatshirts and jeans, gals! Men often cook with a different style, cook for different reasons, and — most importantly — cook with different stuff! 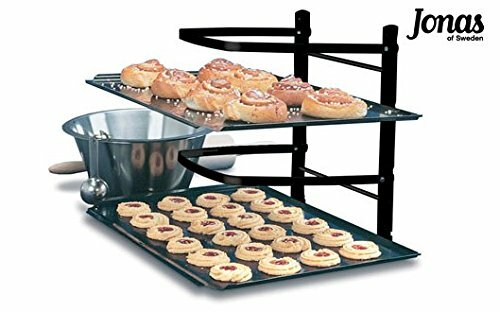 Whenever my husband and I go to the kitchen stores, we inevitably meet up at the register with totally different stuff in our arms. He has gadgets and gizmos and tools I’d never pick, and vice versa. You’ve got to know your guy! So happy shopping, and hopefully our holiday gift guide for men who love to cook will help you make the cooks in your life happy this Christmas. 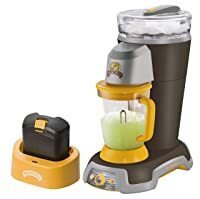 What kitchen gadgets does your guy use in the kitchen? Does your father, brother, husband, or friend enjoy baking, grilling, or general cooking best? Share with us in a comment below. 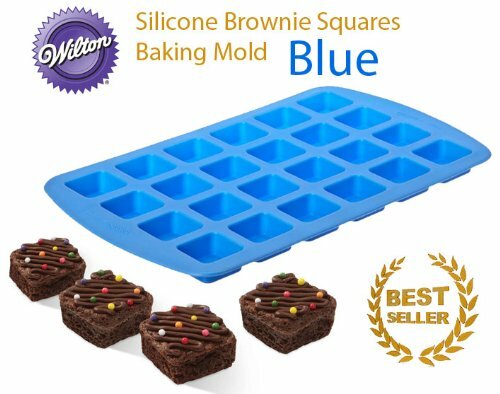 10 Responses to "2016 Gift Guide for Cooks – Unique Gifts For Men Who Cook"
I am more of a baker thane someone that cooks. For me its pies, bread and cakes that you will find me in the kitchen creating. 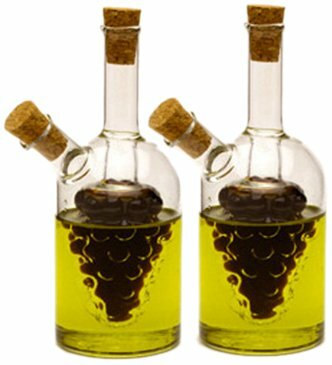 Note from Moderator: I normally don’t allow links in comments, but when I saw that brewing kit, I knew you guys might want to take a look. I may very well add it here soon. Great gift ideas For men who love to cook. Thanks for sharing them. I gave my husband a bunch of funnels in his stocking this year. They kept disappearing from the kitchen and put to use in the garage (motor oil, etc.) Lots of good ideas here … men who cook are definitely fun to buy gifts for. Merry Christmas! I love buying gifts for my hubby to use for cooking. Sometimes I buy him something cool just because. My husband loves different gadgets. I bought him the single serve blender last year with the different cups. He loves it. My husband is a gadget fan, too. It’s dangerous to take him into a kitchen store.